Location: East of Hwy 35 on newly-paved Hwy 88, south of junction of Hwy 697 and Hwy 58; 47 miles southeast of High Level, approximately 400 miles north of Edmonton. Population: 870. Visitor Information: Visitor Log House at the Community and Cultural Complex; Fort Vermilion Heritage Centre, PO Box 1, Fort Vermilion, AB T0H 1N0; Phone: (780) 927-4603; Email: fvhc@hotmail.ca; Website: www.fortvermilionheritage.ca; Mackenzie County, PO Box 640, Fort Vermilion, AB T0H 1N0; Phone: (877) 927-0677 or (780) 927-3718. In town, Heritage Bi-Centennial Park has a day use area with shelters, boat launch and fishing access. 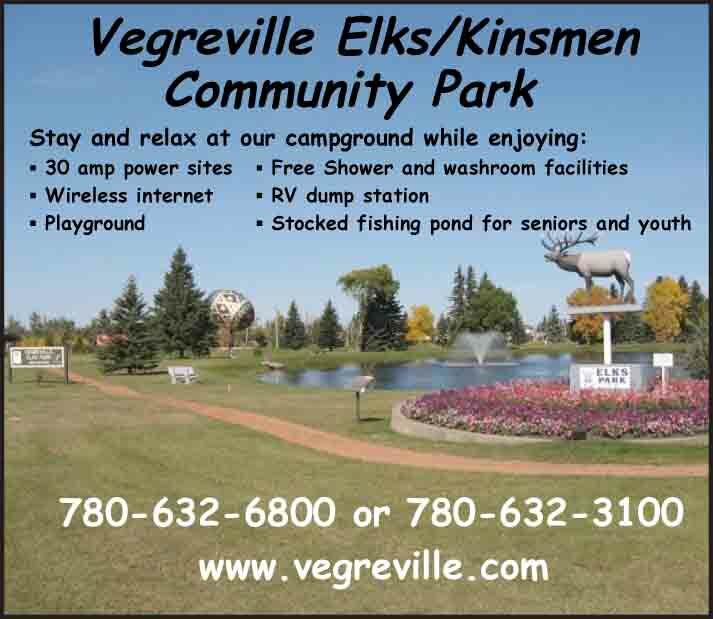 Camping is available with ten sites at Fort Vermilion Provincial Recreation Area located 6 miles west of Hwy 88, which is now paved all the way from the town of Slave Lake to Fort Vermilion; at Wadlin Lake Provincial Park, home to the endangered white pelican colony, 16 miles southeast of town with 55 sites, boat launch, fishing, swimming and hiking, and Machesis Lake Forest Provincial Recreation Area, 18 miles east on Hwy 58 and south 10 miles, offers 20 sites with boat launch for electric motors only. Many rivers and streams in the area are well known for great fishing, particularly for walleye, pike and grayling. Vast wetlands provide habitat for large numbers of native and migratory birds. Salt flats, sand dunes and boreal forest comprise intricate ecosystems, while the impressive Vermilion Rapids and Chutes are the only spots along the 700-mile length of the Peace that interrupt navigation. 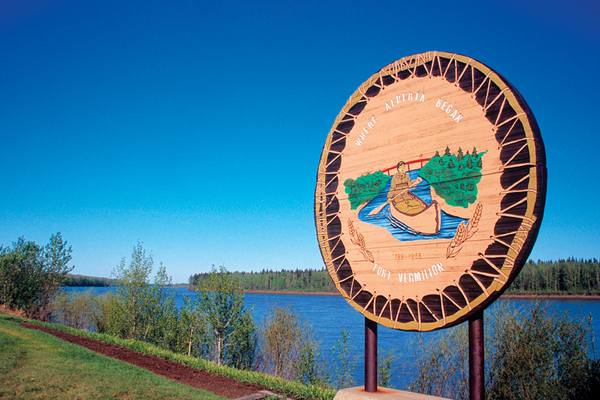 Hiking trails and a 9-hole golf course round out the ample outdoor recreational opportunities in and around Fort Vermilion. 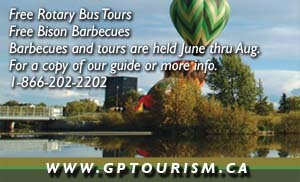 Special events include the Canada Day parade on July 1st, the July Rodeo and the Town ‘n’ Country Fair and River Daze in early August.